Walt Kolenda AKA "AuctionWally" had a coming out party this week! It seems that eBay in it's infinite wisdom and true to form in it's own sweet time, has decided the head of Communications AKA Usher Lieberman, should actually communicate! 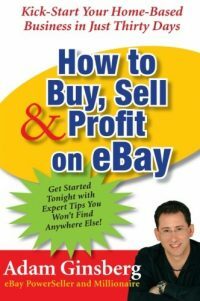 Is this is a paradigm shift in strategy for eBay? I ask this question simply because this is the very first time the public mouthpiece of eBay has actually said anything publicly. I am curious as to what precipitated this new definition of what communications means at eBay? Is it possible that eBay has detected some push back from the people we like to call it's customers - otherwise known as sellers? Previously eBay has always communicated in one direction - at the sellers. Of course, they have always said they listen to the sellers. If you have ever experienced this "eBay speak" in person the feeling you get from any eBay representative is that they all have been trained to say the same exact line when asked a direct question... "We are looking at that and know it is an important issue, let me get your card and I will get back to you on that after I return to San Jose". Of course, the eBay representative who utters these pat lines of response will actually never to be heard from again. On the AuctionWally show there was a definite change in eBay speak as presented by Usher Leiberman. Is it important to know that eBay feels that all of a sudden they must improve the atmosphere of communications? Absolutely! eBay chose the AuctionWally show to do this for very good reasons, you don't think they just woke up one morning and called Wally out of the blue, do you? I am sure this 1/2 hour coming out party for Usher was the result of lengthy meetings and discussions with Usher most likely leading the charge to actually do some real corporate communications. I have met Usher Lieberman personally and I know that he is a very deliberate and careful person when it comes to choosing his words and responses to questions. He is good at what he does. Why eBay has not used him more in this capacity is beyond me. I say this because eBay can trust that Usher will not misstep as often as his corporate bosses have, this is the very reason why large corporations employ professionals like Usher Lieberman. Usher in person is not a bad guy, and he has tried in the past to enter the sellers world and answer questions. Just not in this very public way. I have stood up for him on other forums when he tried to enter the fray. To be honest, the vitriol heaved his way in those few instances has not been deserved. One thing everyone should remember is that even though he must present the information in the best possible light for eBay, he is trying to share what he can under those restraints. eBay - Let them Work! I am all for eBay realizing that they should allow Usher Lieberman, and for that Matter is colleague Richard Brewer-Hay of eBayInk the freedom to do their jobs. Both men do know how to communicate very well and both men have shown they understand in today's world corporations can not simply spout spin speak and expect every one to fall in line. (OK - maybe RBH more than Usher, but you get my meaning). When ebay realizes the mis-steps they have taken in the last 18 months, if they ever do, it will be a very large job indeed to repair the damage. People like Usher Lieberman and Richard Brewer-Hay have a mountain to climb to regain the trust or eBay's core customer base - i.e. Sellers. 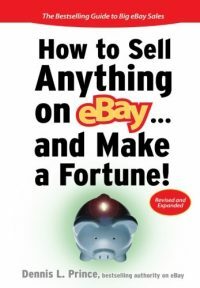 The AuctionWally show is a good outlet for eBay to test the waters on Communications, I know many other bloggers and at least one other Internet Radio host has tried to get similar interviews for years. eBay should have Usher out in the world granting these interviews every single day, spinning the message as eBay needs it spun. This is what the man is supposed to do and and he says, (paraphrase) you may not always like the answers he gives, but at least they will be answers. eBay chose AuctionWally because he has a core audience they need to speak to and because even though lately he has strayed from the eBay cheerleading many of us have done in the past, Wally has always been very fair towards eBay. Congratulations are due to Walt Kolenda, this was a big feather in his cap! Usher Lieberman is also due some kudo's, it must be nice to suddenly be allowed to do ones job - Communication is part of the job title, oh how it must have felt to actually say something! Hello Scott. I think your article is a spot on assessment of what eBay is trying to do, and what happened on the show. I’ve been around in the auction world for quite a while as you know, but only as a couple of years as an online blogger, and even more recently as an Examiner. The anonymity of the Internet can really bring out the nasty in people sometimes! I can’t believe the comments I got and the vitriol aimed at Usher after this interview! Some I’ve left up, and some I’ve had to scrape because they were just vulgar. Usher is in a tough spot, I do think he’s very good at what he does, but you are right, eBay didn’t give the guy much to work with. To those that listened to the interview, and think they didn’t get enough answers, well, Usher answered, but you had to listen between the words. At times you could find out more by what he didn’t say, than what he did. Here’s what I got from the interview in a nutshell. 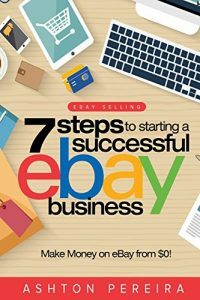 “eBay now agrees with the sellers, and sees the error of their ways, but they’re not going to do anything about it”. I don’t get it Scott, I really don’t.